Earlier this week, I wrote a blog entry about how much I am enjoying this season of life. I talked about how blessed I am, and how good God has been to me. I’m eternally grateful! However, this did not sit well with some people. In fact, apparently, my blog flat-out offended some folks. For that, I apologize. The most common offended response was the accusation that I was being dismissive of all genuine abuse. The concern was that I was saying that abuse never happens in conservative Christian and/or homeschooling circles (the sub-cultures to which I am known). Let me assure you, that I was not saying those things. Clarifying things often has the unintended consequence of only making them worse, but with the hope that will not happen in this case, here goes. My previous blog had nothing to do with the topic of genuine abuse. It was my celebration of the joy I have in knowing that my sins are forgiven, and rejoicing in the wonderful life I have in Christ. It was also a tongue-in-cheek soliloquy about that fact that I have successfully “survived” what many people in our culture deem to be “abuse,” because I was raised in a conservative church / homeschooling culture. I was not claiming that I have never had difficulties in life (I have), nor that my upbringing was perfect (it was not). Most people saw the intended humor in the post, but a few did not. However, since we are now on this new and different topic of genuine abuse, I would like to make it clear where I stand on that matter. I was once told, by a concerned friend, that the fact that I am homeschooling my son, rather than putting him in a public school where he could be on a soccer team, is abuse. Just about anything that anyone doesn’t like can be claimed by them to be abuse today. However, we have legal definitions of what constitutes abuse in every single state statute in America. 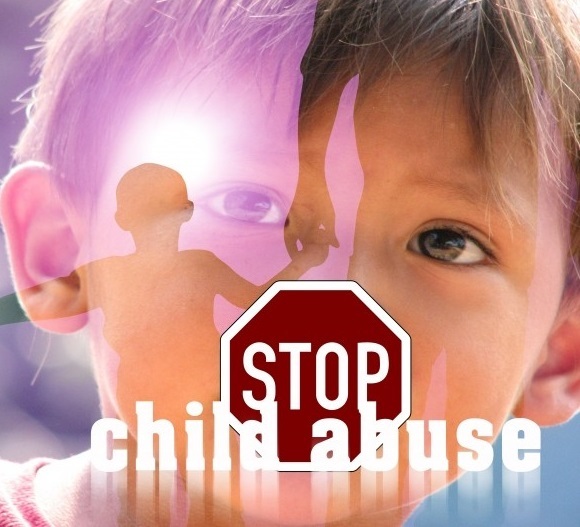 Every state has slightly different criteria but your state’s child abuse laws can be found here. For abuses such are described in these various state statutes, there is no excuse. Any and all cases of legal abuse should be reported to state authorities, and those who have committed those crimes should be prosecuted to the fullest extent of the law. HSLDA has a great document on what do to if you are a victim of abuse, or know someone who is. No person (especially no Christian) should ever defend genuine abuse, nor make fun of it. It’s not funny. I have not done that, and never will. I have consistently written against abuse in the past, and will do so in the future. If you have been a victim of abuse in the past, and are struggling to recover, I strongly encourage you to find a certified counselor who can help you to find hope and healing. My prayers are with you. If you have experienced difficulty in your upbringing that may not technically be defined as abuse, but was still difficult and painful, I have the same sentiments for you as well. In all of these things, I hope that you will be able to, if nothing else, learn from the mistakes (sins, crimes) of others, and do better in your own life. I trust that you will be able to give your children a better upbringing than you had. If these difficulties have caused you to question your faith in God, I would encourage you to read the book (and this article) by Ravi Zacharias entitled, Has Christianity Failed You? I think it will be helpful. Israel Wayne is an author and conference speaker and Director of Family Renewal. He is the author of seven books, including, Pitchin’ A Fit! Overcoming Angry & Stressed-Out Parenting. While I do not know you at all, I have attempted to learn a little about you. The last blog you wrote was the first of yours that I read, but quickly realized what you were doing and saying. You were not underprivileged being homeschooled, no more than I was being raised as an Old Order Mennonite. We thank God we did not have to experience everything others did who were raised in more “normal” settings. Many in our society today have a victim mentality. And taking offense over all sorts of things is rampant. I read your last post, and what you were saying was quite clear. However, all of us who write books and blogs run into this these days. Key words trigger in people’s heads as a red cape to bore holes in. We need Jesus to mend our hearts as a nation. I’m enjoying keeping in touch with what you have to say, Israel.